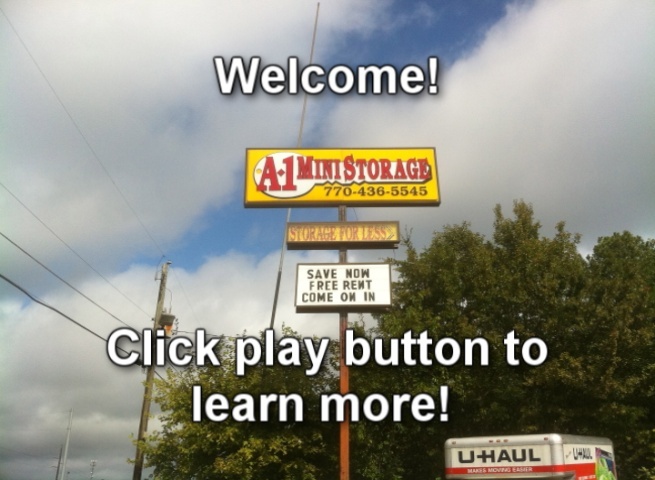 A-1 Mini Storage conveniently located at address here in Marietta, GA. offers climate controlled storage units, traditional drive up self storage units, Uhaul truck rentals and moving and packing supplies. Need outdoor parking A-1 Mini storage has parking for boats, rv, cars, trucks, trailers and equipment at our complete fenced and gated Mini Warehouse facility. We offer month-to-month storage leases but if you need long term self storage ask about our long term storage discounts. . A-1 Mini Storage has all your moving and storage needs covered with clean, safe, secure and well lite self storage Have questions click on the appropriate tab above or call us an one of our trained Self Storage Professionals will be glad to help you. Copyright © 2009 A1 Ministorage Marietta Georgia. All Rights Reserved.